A native of Halifax County, William lived most of his formative years in Kinston North Carolina and graduated from Kinston High School. 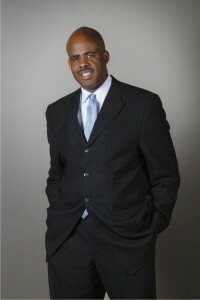 He received his Bachelor’s of Science degree in Accounting from East Carolina University in 1988. William’s 16+ years of financial management experience with large multi-million dollar organizations affords has given him the understanding necessary to bring creative solutions to a wide array of business problems. William presently lives in Greenville with his wife Patricia and two daughters Candace and Charity. William was licensed by the North Carolina Board of Certified Public Accountants in 1996. He is an active member of the North Carolina Association of Certified Public Accountants. He has extensive financial management and compliance experience with both small and complex organizations. Before founding the Certified Public Accounting, William worked as an financial auditor, internal auditor, and finance officer.